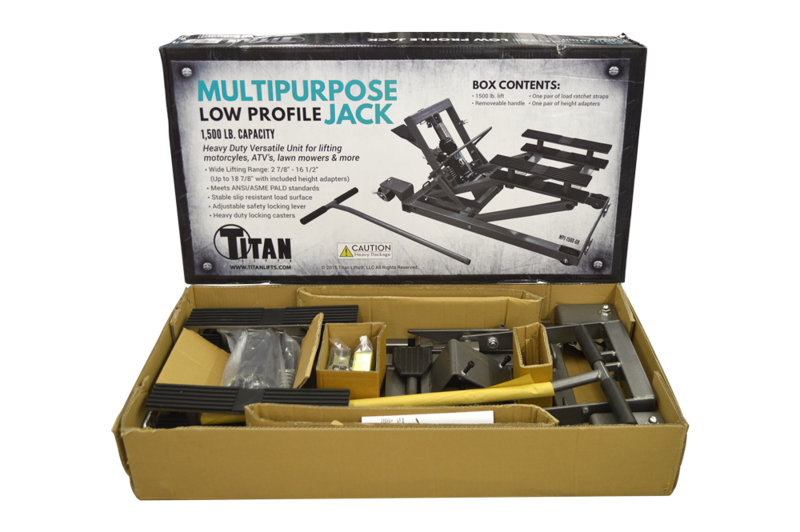 With a lifting range of 2 7/8” to 16 1/2”, the Titan Multi-Purpose 1,500 lb. 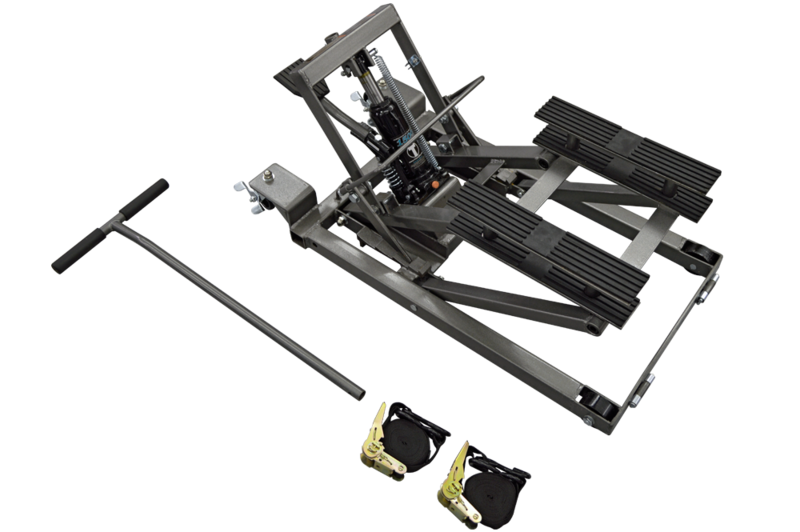 capacity lift has one of the largest lifting ranges on the market today. 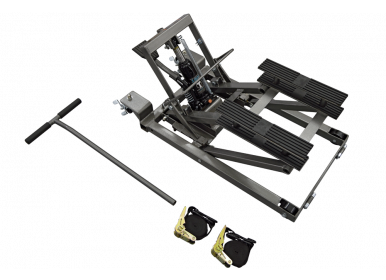 Fitted with locking steel swivel casters, drop-in height adapters and four locking height positions, this mobile lift has all the lifting power of a full sized table without taking up as much space. 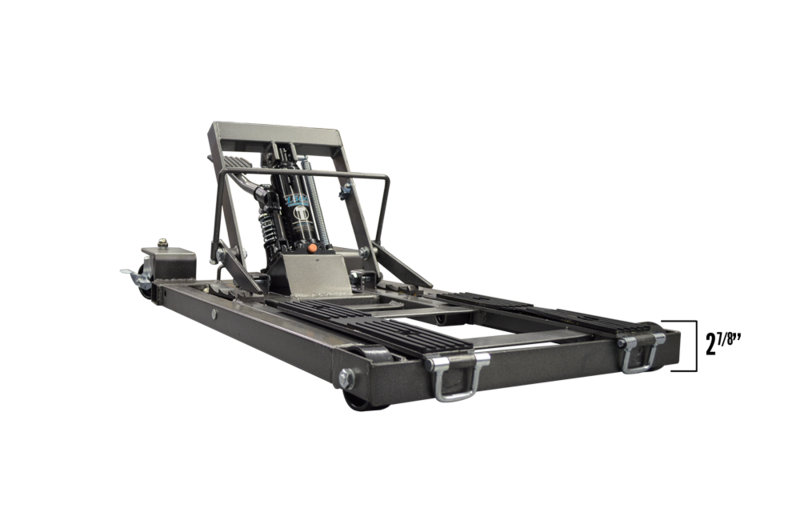 The lowered height of 2 7/8” allows for easy entry under many pieces of equipment that other jacks or lifts will not clear. 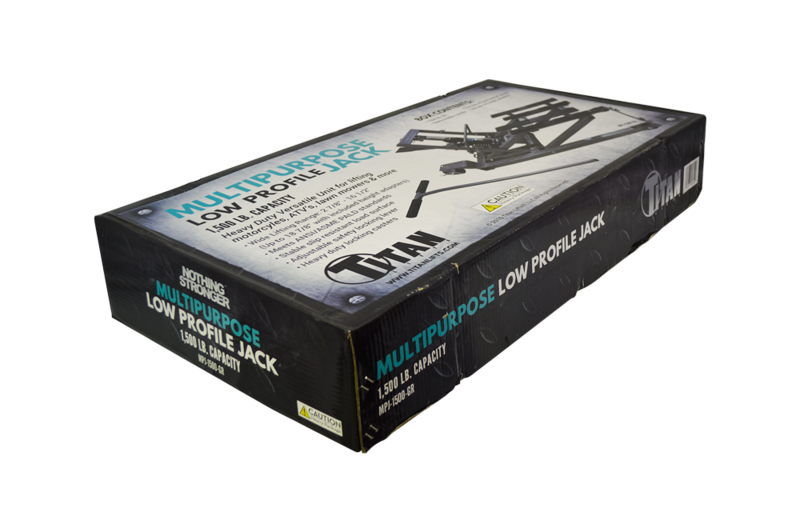 Equipped with a pair of ratchet straps, rubber padded lifting arms and a heavy-duty hydraulic pump, the Titan Multi-Purpose Lift requires minimal assembly and is a simple, easy to use option for cleaning or wrenching on your toys.